Cardcloud announced the release of the new iPhone app today. 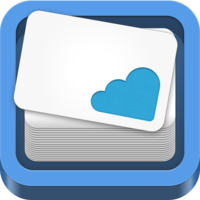 Cardcloud for iPhone allows iOS users to easily create and share online business cards. Cardcloud announced the release of a brand new iPhone app today. Cardcloud for iPhone allows users to easily create and share online business cards. The application allows people to share an infinite stack of business cards with anyone: recipients do not need to have an app installed on their phone. Cardcloud for iPhone can send beautiful online business cards directly to an email address. These cards can be viewed and saved directly from the email. Sent cards contain contacts information, links to social networks, a profile picture and an optional company logo. Included is a vCard for fast storage on a local device or service. Cardcloud for iPhone is ready for peer to peer transfers between users of the app. Support for card transfers from iPhone to iPhone, as well as iPhone to Android and vice versa. Cardcloud aims to leverage business cards to the next level by adding context to each new contact. Notes can be added to cards, and geolocation for each sent card is stored per contact - viewable from the app, as well as from the website. Cardcloud is a privately funded company based in Amsterdam, the Netherlands. Cardcloud is a privately funded company based in Amsterdam, the Netherlands. Our team consists of international talent in development, design and management. We’re backed by fantastic business angels to pursue our goal of taking business cards to the next level. Cardcloud announced the release of the official Android app today. Cardcloud for Android allows Android users to easily create and share online business cards. Cardcloud announces LinkedIn integration into their signup process, enabling new users to easily set up an online business card populated with information from their existing LinkedIn profile. After a successfully integrated The Next Web Conference 2011, Cardcloud will be implementing support for Google I/O 2011, WWDC 2011, TechCrunch Disrupt NYC and Next Conference. Tens of billions of paper business cards are printed worldwide each year, with reason: people want to exchange their contact details quickly and effortlessly. Following up on this dated medium is far from efficient, and meeting context gets lost when many cards have been exchanged. Cardcloud aims to transition paper business cards to the next level, by providing a platform that handles new connections through digital card exchanges via mobile applications and the web.